Sometimes you can buy a shirt but it gives you not that cool look what you want ..
on a lot of girls in sweden a black leather pants with a normal white shirt and you have the feeling that the shirt looks better than the pants and the shirt is the eyecatcher ?!?! I love exactly this look and I was searching for a long time for a perfect white shirt . 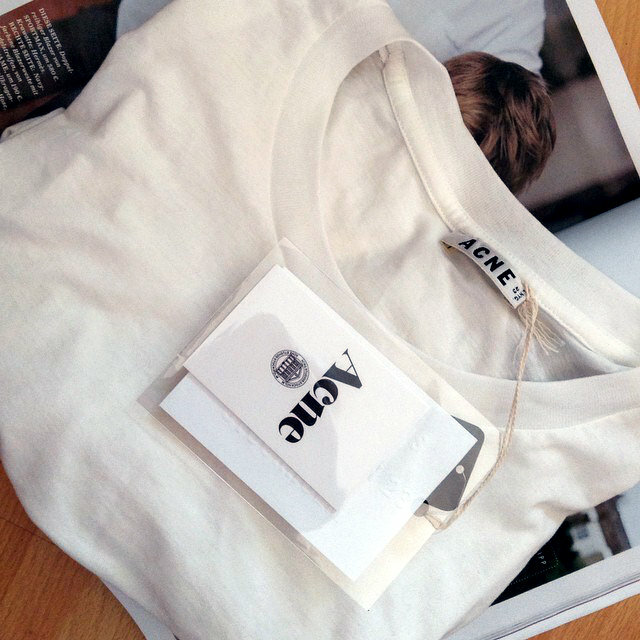 I found it at the Acne Store last year , .. I wear it to a shorts, a leather pants or a jeans you can do what you want !